It hasn't been exactly easy, but the Philadephia 76ers are now one win away from advancing to the Eastern Conference semifinals. Joel Embiid, who ended up playing after being a game-time decision, led all scorers with 31 points as the third-seeded Sixers outlasted the sixth-seeded Brooklyn Nets 112-108 in Game 4 on Saturday. Philly can now close out Brooklyn at home in Game 5 on Tuesday. Caris LeVert led all Nets in scoring with 25 points, while both D'Angelo Russell and Jarrett Allen added 21 each. The game was competitive from the tip, and things got especially heated in the third quarter during a skirmish that saw both Jimmy Butler and Jared Dudley get ejected. The Nets will need to bring everything they've got left to Game 5 as they are in a true do-or-die postseason situation. Here's everything you need to know about this first-round matchup between the Sixers and the Nets. Check Sportsline's NBA pick sheet for all your daily odds. Who wins the 2019 NBA Finals? And which massive long shot can go all the way? 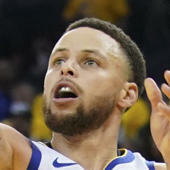 Visit SportsLine now to see who you should back to win the NBA Finals, all from the proven model that is up more than $4,000 on its NBA picks this season, and find out. Nets: Not too many people had the Nets penciled in as a playoff pick prior to the season's start, but they surpassed expectations this season and landed in the postseason for the first time in four years. The All-Star play of D'Angelo Russell had a lot to do with the Nets' success this season, but they benefit from an all-around effort, as they also boast one of the most productive bench units in the entire league. Ultimately though, the question for the Nets will be if they have enough firepower to keep up with Philadelphia's explosive first five. 76ers: The Sixers have turned things around quickly -- very quickly. They just completed their second straight 50-win season, and are headed to the postseason for the second year in a row -- not bad for a team that won just 10 games three seasons ago. General manager Elton Brand swung for the fences in acquiring Jimmy Butler and Tobias Harris in separate blockbuster deals, and has assembled arguably the most formidable starting unit in the entire East. The main questions facing the Sixers as they enter the postseason are chemistry (that starting five has still only played 10 total games together as a unit), and depth. 1. Joel Embiid vs. His own health: Embiid's health is a central storyline, not only for the first round, but for the entire Eastern Conference playoff picture. Embiid missed much of the Sixer's final portion of the season due to lingering knee soreness, and the big man was doubtful for the start of the playoffs. The Sixers have a lot of talent, but Embiid is the engine, and him staying healthy is imperative for Sixers success. 2. Philadelphia's talent vs. Brooklyn's depth: On paper, most would agree that the Sixers are the more talented team. However, the Sixers also have one of the league's least productive benches, while the Nets are on the opposite end of that spectrum and have the second-best bench in the entire NBA in terms of points per game. The series will come down to if the Sixers' top-tier talent can outweigh a more-balanced Brooklyn attack. 3. Brett Brown vs. Kenny Atkinson: Brett Brown made his postseason debut as a head coach last year, and this year Kenny Atkinson did the same. Playoff basketball becomes much more of a chess match, as teams play each other multiple times in a row, and it will be interesting to see how these two counteract each other. Sixers in six: The Nets are talented enough to keep this series interesting, as two of their strong points -- depth and guard play -- happen to be weaknesses for Philadelphia. However, at the end of the day, the Sixers have more elite talent than the Nets, and in the playoffs teams tend to rely much more on their key contributors, which works in their favor. The Nets -- and specifically Russell -- will make the Sixers uncomfortable at times, but ultimately Philadelphia will take care of business and move on to the second round.